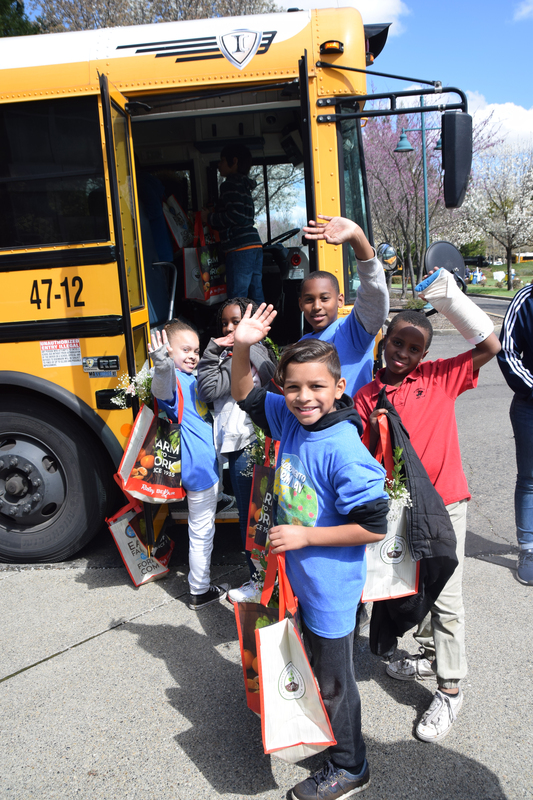 Judy Culbertson, the Foundation’s executive director, says it’s more and more important in urban districts and rural areas alike that students understand that their food comes from a farm before it appears neatly packaged in their neighborhood supermarket. Since 2002, Farm Credit associations in California, together with CoBank, a national cooperative bank and member of the Farm Credit System, have been proud sponsors of the Foundation’s work. In all, they have donated $186,000 to the Foundation during that time to help sponsor its National Agriculture Week activities and to help pay for the What’s Growin’ On? newspaper distributed free of charge to schools throughout the state. This year’s 16th edition of the newspaper focuses on how food is harvested, packaged, and shipped around the state, the nation, and around the world as it moves from farm to fork. Each year, more than 1 million students, teachers, and the general public read the supplement. Leili Ghazi, president of CoBank’s Western Region Agribusiness Banking Group, said Farm Credit has supported What’s Growin’ On? from the beginning because of the importance of creating factual education materials that students enjoy. “Farm Credit believes it’s vital to educate students about agriculture – where their food comes from, how it is produced, and that the food supply is safe. That’s why partnering with the Foundation is so important,” Ghazi said. Culbertson said past years’ issues have provided factual and balanced information about a variety of important topics to agriculture, including agriculture and the environment, celebrating the state’s top 10 crops, and water. She noted despite the controversial nature of several of these topics, response was positive from all sides of the issues. The program began in 1980 when the San Francisco Unified School District approached the California Farm Bureau Foundation to help educate its teachers about agriculture. The Farm Bureau set up a series of field trips for teachers, which lasted several years. The program grew as other districts learned about it and wanted to participate so in 1986 the Foundation was spun off from the Farm Bureau to focus exclusively on ag education. The Foundation today provides a wide range of educational resources to teachers, including lesson plans for all grade levels. Besides helping support the newspaper project, Farm Credit also sponsors the Foundation’s involvement in National Agriculture Week. In California, the main event is the Ag Day at the Capitol, organized by the Foundation, California Women for Agriculture, and the California Department of Food and Agriculture. The annual event celebrates the many crops and commodities produced in the Golden State. 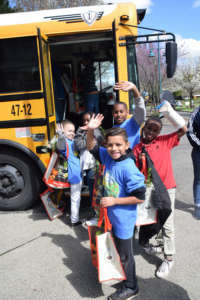 This year, during National Agriculture Week, the Foundation also organized an inaugural Sacramento Farm Day, in which 1,000 students from the area learned first-hand about agriculture at an event at the Farm Bureau offices. And it recognized the winners of the “Imagine this . . .” story-writing contest for students in grades 3-8. The stories are based on real or imagined experiences or events based on accurate information about California agriculture, and the winning entries are published in a story book each year. Culbertson said Farm Credit’s support over the years has been an important part of the Foundation’s effort to educate Californians about agriculture. The California Foundation for Agriculture in the Classroom (CFAITC) is dedicated to increasing the awareness and understanding of agriculture among California’s educators and students. Our vision is an appreciation of agriculture by all. 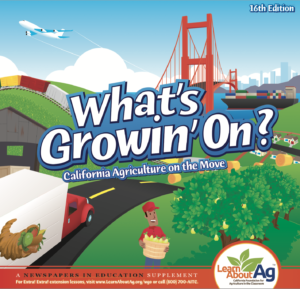 For more information about Agriculture in the Classroom, visit LearnAboutAg.org , call 916-561-5625 or 800-700-AITC (2482), or email info@LearnAboutAg.org.